Her collection comprises jewellery dating from c.1800 to 1980 and everything in between: Empire, Art Nouveau, Art Deco & Retro. Many pieces are signed by exclusive jewellery houses such as Cartier, Boucheron, Van Cleef & Arpels, René Boivin, Hemmerle or Tiffany & Co, or by great designers such as René Lalique. 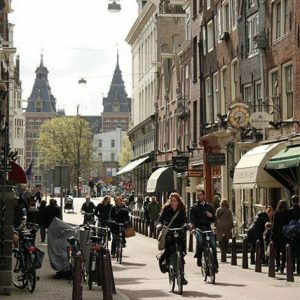 In the heart of the antiques district of Amsterdam; the Spiegelkwartier, you can find our gallery. Open by appointment for antique and vintage jewellery. Information about making an appointment, accessibility and parking facilities you can find on the page Contact.